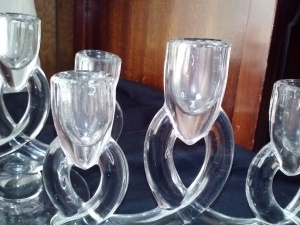 These candlestick holders sat on my mom’s dining room table. Sometimes they held red candles for Christmas or peach ones for spring or white ones for no special reason at all. They were part of what made my mom’s dining room hers. They were part of the sameness of my childhood, the comforting consistency, like the hardwood floors creaking in the same places all the time and the yard being blanketed with yellow maple leaves every fall. And then one day the candlestick holders were gone. My Aunt Millie and Uncle Norman had moved into a large parsonage with many rooms to fill. My mom offered the candlestick holders to Millie, her sister, to use in the parsonage dining room. I was sad about it because I loved them. They were simple but elegant. They were Mom’s to give, though, so I didn’t make a fuss about it. Several years later I married. When we came home from our honeymoon my husband and I opened presents. The card and gift box from Aunt Millie and Uncle Norman were non-descript and traditional. 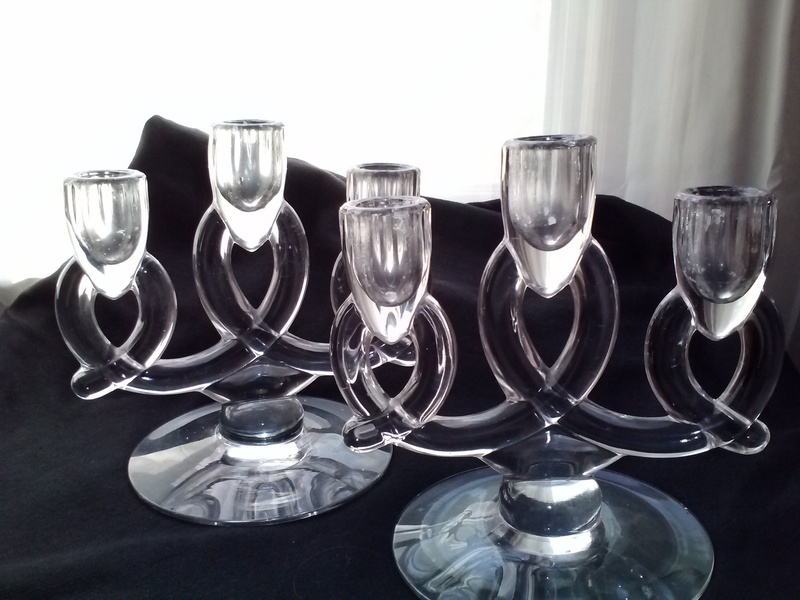 But when I opened the box itself I found my mom’s candlestick holders inside. Tears welled up in my eyes as I read the note tucked in between them. 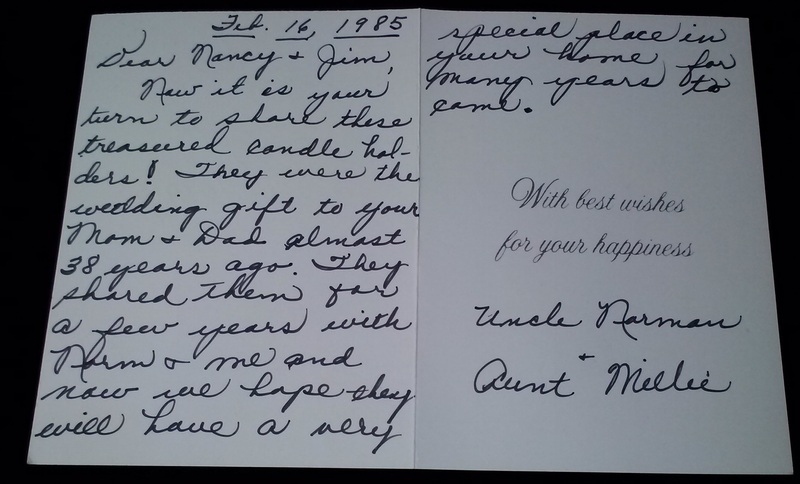 Note from Aunt Millie and Uncle Norman. I keep it with the candlestick holders. They live in my china closet now, the one I inherited from my mom when she passed away. I use them on special occasions, but they’re visible all the time through the glass front of the china closet. Whether they grace my table for a holiday dinner or I view them through the glass, seeing them brings me right back to the comforting consistency of my childhood. What a wonderful memory. Thanks for sharing.